Conceived by Normand Latourelle, one of the co-founders of famed Cirque du Soleil, Cavalia is a fresh mix of equestrian and performing arts, multimedia and special effects, innovatively integrating acrobatics, dance, aerial stunts and live music. 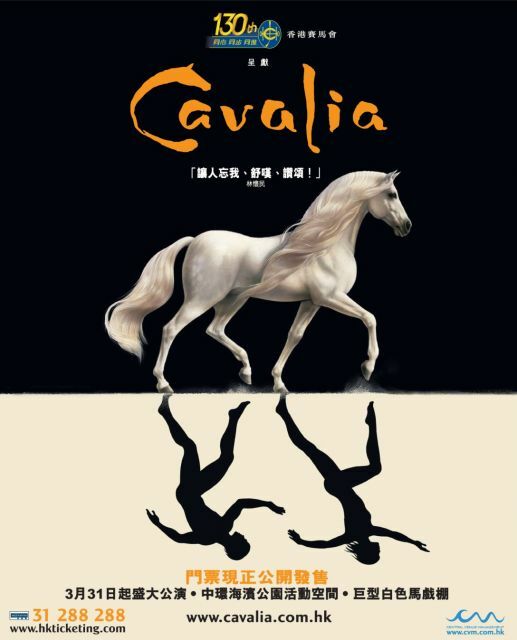 The show – often labelled as an equestrian ballet – combines advanced technology and the fundamental relationship that humans have developed with horses throughout time; enabling us to build bridges between cultures, to expand civilization and now to produce the purest form of art, one created through kindness, patience, and love. A show unlike any other, Cavalia celebrates the relationship between humans and horses, virtually reinventing the equestrian arts.